Looking for something slightly different to cater your next event or meeting? 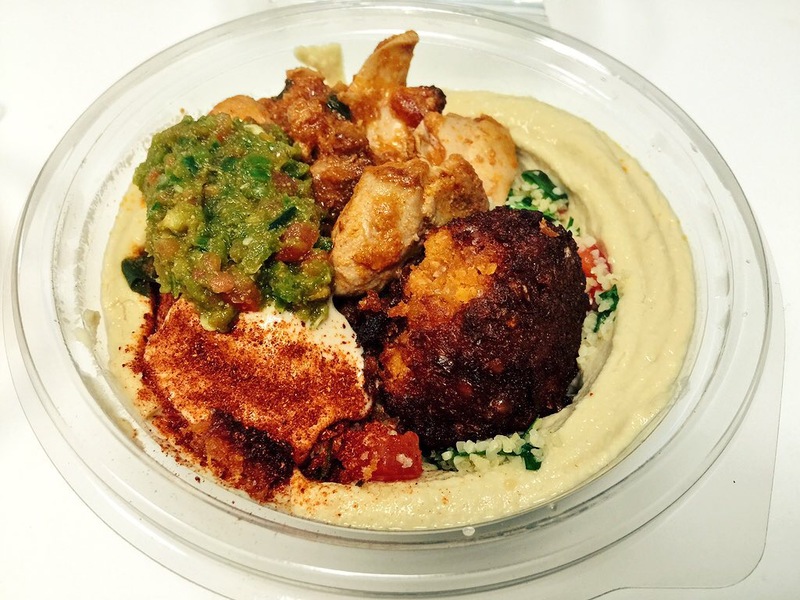 Have you tried Hummus Bros? “Give peas a chance” and you will look no further after you see their spread. It’s impressive, fresh and deliciously inspired by the Mediterranean. Fully loaded bowls with hummus smeared strategically on the bottom of the bowl, before being piled high with chicken, falafel, tabouleh, chilli sauce and a drizzle of lemon before being sprinkled with paprika. Served with a flatbread or carrots, this is hearty and wholesome and will leave you content and craving more. Catch them at their pop up events or one of their four London branches.